Home>uncategorised>Why Is The Pacvac Superpro 700 The Preferred Backpack Vacuum For Commercial Cleaners? The vacuum cleaner is a high quality product from over 30 years of research, development and innovative design. Considering its highly efficient and durable characteristics  the Pacvac Superpro 700 is considered to be the number one choice when you think of backpack vacuum cleaner. This machine is a combination of performance, comfort and aesthetics. Statistics have proved  a backpack vacuum is the most efficient way to clean your floors, carpets and upholstery. 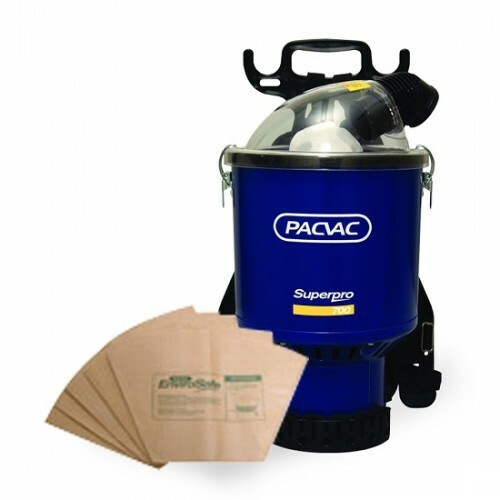 The Pacvac Superpro 700 is here to help you save your time and money. This way, you get to pay more attention to your other commitments and activities you enjoy the most. What makes the Pacvac Superpro 700 an amazing vacuum cleaner? A HEPA rated Hypercone filter: It makes cleaning effortless and ensures you have a healthy cleaning experience. In addition, it is the only filter present in the market that sustains the suction power even as the dust bag is filling up. Ergonomically designed frame: Top notch design to help you with comfort and maintain correct posture while cleaning. The Pacvac Superpro 700 has a ‘body-moulded’ ergonomic frame. Where is the Pacvac Superpro 700 being used? The Pacvac Superpro 700 is compliant with the highest health and safety regulations, including the electrical and filtration standards too. This back pack vacuum cleaner is manufactured in full compliance with Australian and International standards. Additionally, the Chiropractors Association of Australia, Carpet Rug Institute, Health and Safety Matters Pty Ltd and many more occupational health and safety organisations  have gladly accepted the Pacvac Superpro 700! Multi Range can help you! 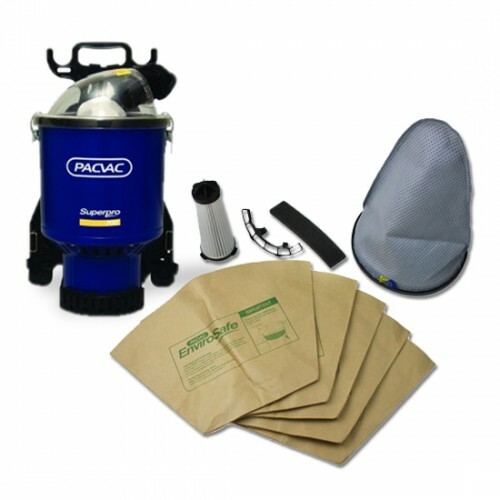 We have a professional and customer friendly team to assist you with the Pacvac Superpro 700. Get in touch with us if you have any queries regarding the product. We will be delighted to hear from you.